Within two weeks of the final America’s Cup race that declared the U.S. Team Oracle winners, California shipyards Marine Group and Fifth Ave Landing welcomed over a dozen superyachts from San Francisco. Unlike the refits prior to 2012, the scopes of work at the Marine Group yard have gone beyond the basic haul and maintenance items. The 665-ton travelift facility saw a quadrupling the number of full paint jobs and a tripling of the number of superyacht haul outs over last year. Revenues attributed to full paint jobs will equate to over $4 million, according to the yard. “This year, scopes of work included several extensive structural modifications including hull extensions compared to the zero from last year,” said a representative of the yard. “Marine Group’s superyacht division is showing a revenue stream valuing over $20 million, more than double the value last year. Earlier this year, Marine Group acquired the former Knight & Carver refit facility one mile away from its headquarters. 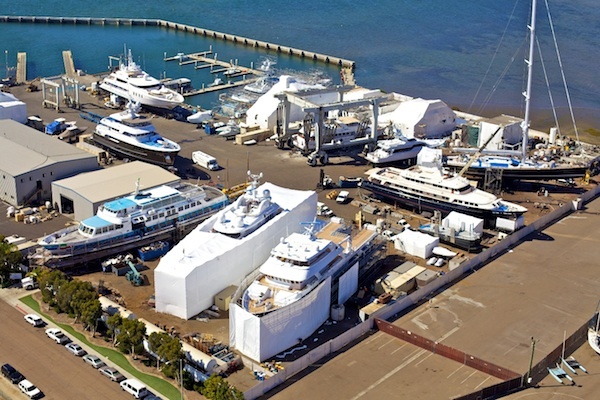 The new location has been the site of several refits of superyachts over 65 meters (+200 feet). 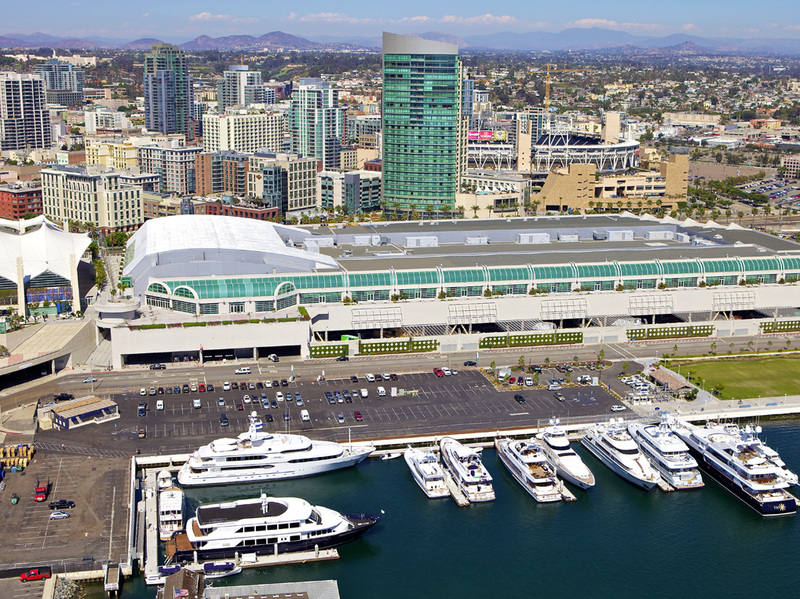 “Our sister company, Fifth Avene Landing—a superyacht marina in downtown San Diego—is and will be at capacity for at least the remainder of this year, according to the yard. Some of the vessels docked there have either just completed a yard period at Marine Group, are preparing for a yard period with Marine Group or have contracted Marine Group to perform soft work items remotely. http://5thavenuelanding.com/wp-content/uploads/2013/11/Fifth_Ave_Landing_Gallery_Home_Page3.jpg 763 1019 mgbwadmin http://dev.5thavenuelanding.com/wp-content/uploads/2017/04/FifthAve_logo_web3.png mgbwadmin2013-11-04 19:49:332017-04-12 20:29:02Superyachtnews.com "San Diego Gets Refit Surge After America's Cup"